Since I do all the buying for my shop, and they are all one of a kind pieces, it's definitely a challenge at times, to let certain pieces go. Today, before I could even post this shawl, it sold. Of course I am happy it sold, but I have to admit, I'm a bit sad. I mean how AMAZING is this????? I think there may be something wrong with me...idiot! 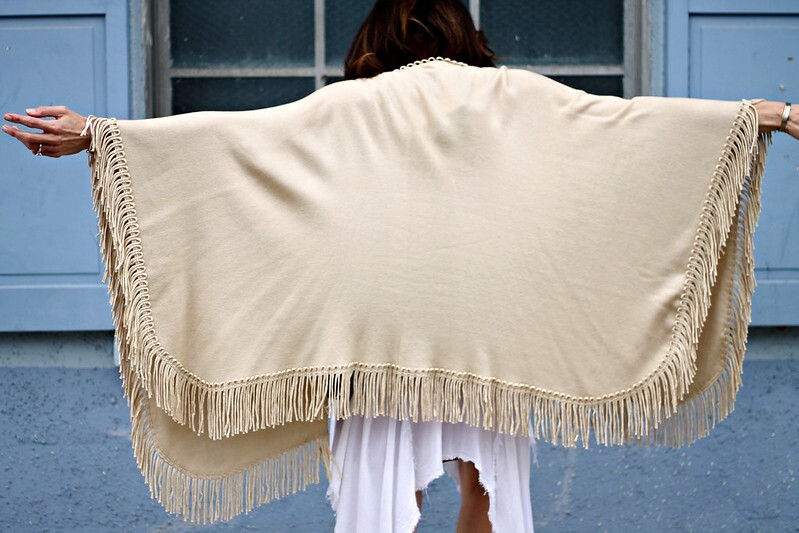 Fringe shawl-MOD (sold out) . Dress-thrifted . Booties-Zara. This entry was posted on Wednesday, April 8, 2015. You can follow any responses to this entry through the RSS 2.0. You can leave a response. 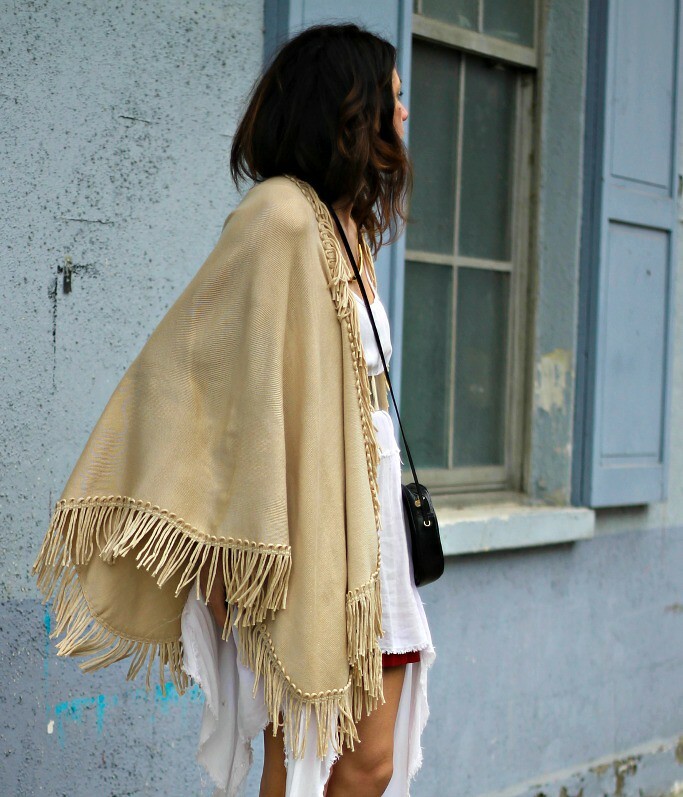 the fringe scarf looks great! love the look! Love the fridges! I found your blog through The Pleated Poppy. I host a link up each Wednesday (still live), stop by if you get a chance. This combination is amazing. Reminds me so much of the free spirit of the 70s!